For 25 years, Cherry Creek Dance has been making movement happen seven days a week and about 355 days a year. 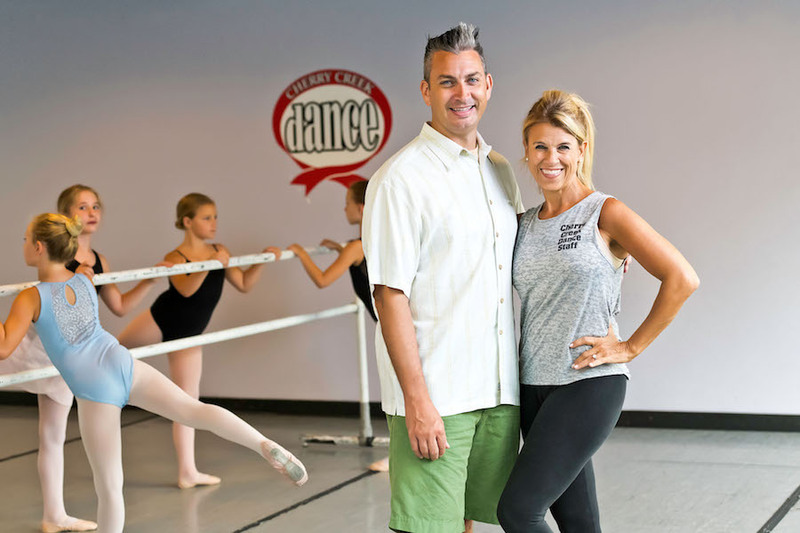 Stephanie and Lee Prosenjak own Cherry Creek Dance, which is celebrating 25 years in business this October. Welcoming 2,500 students each week to their East 3rd Avenue location, the long-serving studio teaches everything from ballet, jazz, tap and lyrical to hip-hop, break dancing, poms and cheer. When the studio opened, Stephanie just hoped that the phone would ring. “Very shortly from that, it started to ring a lot, so we expanded to a second room, a third room,” she says. 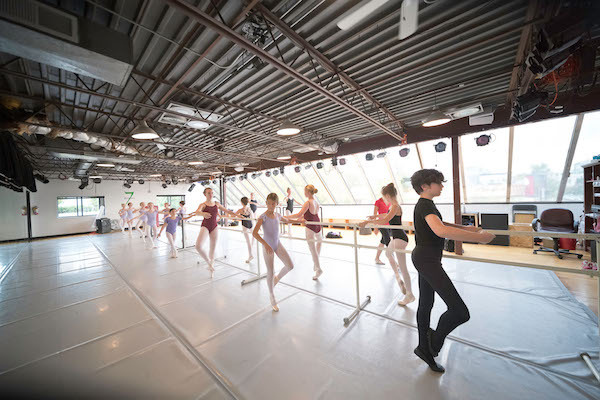 In 2008, after increasing to six studios at their former location, Cherry Creek Dance moved to their current space and now offers nine studios and enough space to teach dancers ranging in age from 16 months through adulthood. “We train the current Ms. Colorado Senior America — it would be impolite to ask a woman how old she is, I would never do such a thing — but she’s got to be probably in her 70s, I would guess,” Lee says. When Stephanie Prosenjak started Cherry Creek Dance, she knew Cherry Creek North was the place she wanted to be. The Colorado native is a longtime member of the Denver dance community, having previously been a member of the Denver Nuggets Dance Team and a Denver Broncos cheerleader. Born in Loveland, Stephanie moved to Denver when she was just a couple of years old and attended Cherry Hills Elementary School. Lee’s family moved to Denver from Ohio when he was a teenager and he went on to graduate from East High School. Lee, who makes it clear he helps with most everything at the studio except for teaching dance, was immediately drawn to Stephanie’s dedication to her craft. The Prosenjaks’ dedication to building strong relationships extends beyond the studio’s walls, as Cherry Creek Dance frequently partners with local businesses and community organizations for events, doing performances to celebrate openings, product launches and more. From flash mobs at Union Station to fundraisers at the JW Marriott, Lee says he and Stephanie love giving their dancers an opportunity to get in front of audience. In preparation for their 25th anniversary this October, Cherry Creek Dance had an early celebration last year, hosting a recital that included some of their all-time favorite numbers through the years. While Lee says they might throw a big party to mark the actual milestone, it comes at a busy time for the studio, as they will be in full preparation mode for their annual performance of the Great Russian Nutcracker in partnership with Moscow Ballet. Only four performances will be held in December at the Paramount Theatre, so make sure to get tickets before they sell out. With so much going on, it's easy to imagine how the stress might get to the Prosenjaks. But Lee jokes that his habit of being a night owl and Stephanie’s tendency to go to sleep much earlier makes it so they can almost cover 24 hours of one or the other being at the studio with no problem.